New demand-side research undertaken in 16 countries in the Global South, shows vast variances in Internet penetration between and within regions, with the majority of people in many countries having not heard of the Internet or do not know how to use it. 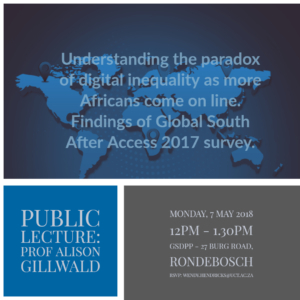 In South Africa, more women own mobile phones than men and there are no significant differences between men and women in relation to Internet take up, whereas in the less developed economies such as Rwanda, which has the lowest Internet penetration of the African countries surveyed, the disparity between men and women is greatest. Like mobile phone ownership did for voice, mobile broadband is driving Internet take-up across Africa. Driven by social networking, access to the Internet remains very limited across most of the African countries with only 30.2 percent of Nigerians, the biggest economy in Africa, online. Urban users are also found to far outstrip rural users in all three regions. Even if there is mobile broadband coverage, people are not necessarily coming online. “Addressing digital inequality will require completely new ways of thinking about licensing, regulating, assigning spectrum and universal service obligations that have done so little to bring the poor online and devise new enabling, innovative, complementary and adaptive systems of governance and business that are able not only to deal with the complexity of the dynamic information ecosystem, but harness it for the citizens in developing countries,” Dr Alison Gillwald. The program includes participation in 2.5 days of tutorials and the 2.5 days of the Communication Policy Research south (CPRsouth) conference that follows. This is the 15th iteration of a program that began in 2007. The objective of the program is to prepare Asia-Pacific or Africa based experts capable of contributing to ICT related policy and regulatory reform in the region. The tutorials will cover the topics of communication policy research, research to policy process, and policy research methods with the participants applying the concepts to their own research proposals throughout. A fully developed research proposal is expected from each participant at the end of the program. Participation in the conference which follows is compulsory since it will expose young scholars to a range of topics in communication policy. Those who have attended CPRsouth young scholar programs in the past or presented at the conference are not eligible. Preference will be given to those under the age of 35. Selection will take into account gender and geographical representation. Applicants’ write-ups and CVs should be in a single word document named: CPRsouth2018_YS_ApplicantLastName. Letters of invitation will be provided for purposes of visa applications after participant selections have been made. Participants are responsible for securing their own visas to enter Mozambique and are strongly advised to initiate visa approval procedures immediately upon receipt of confirmation of their participation. Arrangements will be made for countries which do not have Mozambican consulates. Twin sharing accommodation on bed and breakfast basis, all lunches and two dinners for the duration of the conference and tutorials (September 1-5, 2018). Paper proposal on policy relevant research on ICTs from the Asia Pacific and Africa may be submitted for review. Submissions consist of a 500-word paper proposal with references, and one-page curriculum vitae should be submitted together with the proposal. The document should be in MS office Word and named according to the following format: CPRsouth2017_abstract&Bio_YourLastName.doc. The template for paper proposals can be downloaded from here. Authors of shortlisted paper proposals will be notified on or before the 23rd March 2017 and will be invited to submit full papers for final review by the 25th of May 2017. Submission guidelines may be found at this link. Overview: TPRC is an annual conference on information policy that convenes researchers and policymakers from academia, industry, government, and nonprofit organizations. TPRC strives to inspire top quality research on information, communications, and technology policy, and to connect researchers, policymakers, lawyers, and practitioners. TPRC is the longest-running conference of its kind, and has a legacy of showcasing cutting-edge research across multiple disciplines and international perspectives. TPRC seeks conference submissions for papers, posters, and panels, as well as the graduate student consortium. TPRC’s goal is to provide multiple opportunities for active and engaging conference participants to interact, take part, and share their knowledge. Academics, policy-makers, lawyers, students, and industry experts alike are all welcome. More information on the conference may be found here. Final full papers are due on August 15, 2017. TPRC is a great place to meet new people, and to reconnect with experts in the field of Internet policy, communications, and information. It brings together a diverse and energetic community of scholars, and all are welcome! 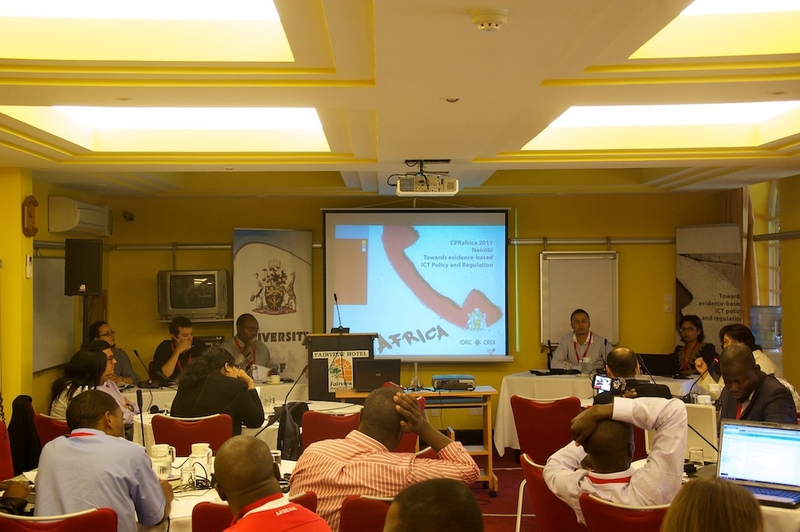 The Association for Progressive Communications (APC) and the NEPAD Planning and Coordinating Agency are pleased to announce the call for applications for the fourth “African School on Internet Governance (AfriSIG)”:http://afrisig.org/. The 2016 School will be held in Durban, South Africa from 11 to 15 October 2016 in conjunction with the African Internet Governance Forum (IGF). Successful applicants will be provided with a return economy class ticket, accommodation, meals and course materials. Participants or their employers will have to cover the costs of visas and local transport (to their nearest airport). There are limited spaces for full sponsorship and we encourage self-funding or co-funding for eligible participants who are not awarded full sponsorship. To apply please complete the form “here”:https://www.apc.org/limesurvey/index.php/762717/lang-en by Friday, 26 August 2016. For more information visit the AfriSIG website www.afrisig.org or contact the AfriSIG team: Dr. Towela Nyirenda Jere at towelan@nepad.org and Anriette Esterhuysen or Emilar Vushe at afrisig@apc.org. World Development Report 2016: Digital Dividends (WDR 2016) is a World Bank annual flagship report. Although the topic of the Report is technology, it is looked upon through the lens of development economics. The Report documents many compelling examples where the internet, mobile phones and other digital technologies have delivered digital dividends by boosting growth, expanding opportunities and improving services. But it also finds that the broader benefits have fallen short and have gone disproportionately to the wealthy, skilled and powerful — those best equipped to take advantage of the digital revolution. The official launch of WDR 2016 in Cape Town, South Africa, launched 12 February 2016, was part of a series of regional and country-level dissemination activities following the global launch in Washington DC on January 14, 2016. A presentation by the World Bank team that authored WDR 2016 provided an overview of the Report’s main findings and discussed how countries can gain greater economic and social benefits from digital technologies and access to the internet. Following a presentation of the report by the World Bank team (Indhira Santos and Tim Kelly), there was a panel discussion and Q&A. Panelists included Alison Gillwald, Steve Vosloo and Marlon Parker. Providing internet access is the precondition for bringing the benefits of digital technologies to everyone and everywhere. But greater digital adoption will not be enough. The WDR 2016 argues that to get the most out of the digital revolution, countries also need to work on the “analog complements” — by strengthening regulations that ensure competition among businesses, by adapting workers’ skills to the demands of the new economy, and by ensuring that institutions are accountable. The deadline for abstract submissions for the 2016 ITS Biennial Conference to be held in Taipei, Taiwan, June 26-29, 2016, has been extended to February 1. Detailed guidelines for abstract submission are available on the main Conference web site at http://www.its2016taiwan.com. Outstanding papers will be considered for publication in an edited book or special issue of Telecommunications Policy. The 10th ITS Ph.D. Seminar will be held on June 29, 2016 immediately following the close of the ITS Biennial Conference in Taipei. Access to the Biennial Conference will be free of charge for Ph.D. Seminar participants. Also, mentors will be assigned to help the students improve their papers. Please encourage your Ph.D. students to submit their papers as well. The Ph.D. students can send their full papers together with a CV by April 10 to Erik Bohlin at erik.bohlin@chalmers.se and to Yu-Li Liu at yuliliu2009@gmail.com . The conference will be held at the Regent Taipei Hotel, located in the heart of the city’s most vital financial, shopping, entertainment and cultural districts. The local organizer will provide free pre- and post-conference tours to a number of special tourist attractions. Lunches and dinners will also be provided at attractive hotels. Enquiries about the conference, including the Call for Papers, should be directed to Dr. David Yeh, at its2016taiwan@gmail.com. Abstracts/paper proposals on ICT policy and regulation research carried out in the Asia Pacific and Africa, or relevant to the Asia-Pacific and Africa, may be submitted for review and acceptance. The conference will accommodate approximately 30 paper presenters from Africa and the Asia-Pacific over the two-and-a-half-day conference in Taipei, Taiwan from 26 – 28 August 2015. The conference includes sessions on cutting-edge developments on policy and regulation in the South and discussion of the research-policy interface. Each of the paper sessions will be chaired by a senior scholar and include a discussant, who will provide substantive comments on the papers. Paper proposals should be submitted electronically at: http://www.cprsouth.org on or before the revised deadline of 05 January 2015. Submissions consist of a 500-word paper proposal with references, and a one-page curriculum vitae should be submitted together with the proposal. Access | Applications | Authorization and licensing | Broadband | Business models | Citizen | Civil society | Cloud computing | Competition | Conflict | Connectivity | Consumer | Content | Convergence | Cooperation | Demand | Disaster | Disability | Domestic | Economy | Ecosystem | Education | Efficiency | Emerging markets | Environment | Governance | Growth | Inclusion | Indicators | Information | Infrastructure | Innovation | International | Institutions | Judiciary | Knowledge | Legislation | Markets | Media | Micro, small and medium enterprises | Mobile money | Monopoly | Networks | Performance | Policy | Political economy | Poverty | Productivity | Property| Public goods | Oligopoly | Reforms | Regional | Regulation | Services | Spectrum | Strategy | Telecom reforms | Transparency | Universal access | Universal services. Authors of shortlisted abstracts will be notified on or before the 30th of January 2015 and will be invited to submit full papers for final review by the 30th of March 2015. · twin sharing accommodation on bed and breakfast basis, 3 lunches and 1 dinner for the duration of the conference (26 – 28 August 2015). · Not all meals are covered. The registration fee for the conference is USD 200, and airfares will be reimbursed less this registration fee. Zenzeleni Networks Mankosi is the result of a partnership between the Mankosi community, in one of the most disadvantaged areas of the Eastern Cape, and the University of the Western Cape (UWC). The partnership aims to create a model for the sustainable implementation of bottom-up local telcos in rural communities in South Africa to reduce the cost of communications for its dwellers. A proof of concept is running in Mankosi since 2012. During the event, the results from the multidisciplinary research team from UWC working on the project will be discussed. In addition, the steps taken to translate them and make them available to a larger audience, and the process initiated to replicate them elsewhere will be presented by partner organizations. The detailed program is accessible here. Join us and help us disseminate the event. 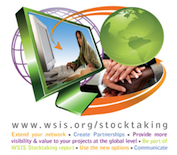 Every community should know they can provide themselves with affordable communications! The changing landscape of ICT governance practice – convergence and big data. Deadline for submissions: 15 December 2014. Download the Call for Abstracts/Paper proposals. Abstracts/paper proposals on ICT policy and regulation research carried out in Africa and the Asia-Pacific region, or relevant to Africa and the Asia-Pacific region, may be submitted for review and acceptance. The paper proposals must be classifiable with at least three keywords from the list. The conference will accommodate about 30 paper presenters from Africa and the Asia-Pacific over the course of three days. The conference includes sessions on cutting-edge developments on policy and regulation in the South and discussion of the research-policy interface. Each of the paper sessions will be chaired by a senior scholar and include a discussant, who will provide substantive comments on the papers. • The document must be named CPRsouth2014_paperproposal&Bio_YourLastName.doc. Notification of shortlisting of paper proposals will be emailed on or before 03 April 2014, and full papers have to be submitted for final review by 05 May 2014. • Lowest-cost economy airfare to conference destination (less USD 200 registration fee). conference (10-12 September 2014). Not all meals are covered. The airfare will be reimbursed less USD 200, the registration fee for the conference. The cost of transportation to and from airports in home countries, visa fees (if any), meals not provided and incidental costs have to borne by the participants. Letters will be provided for this purpose after participant selections have been made. Participants are strongly advised to initiate visa approval procedures immediately thereafter. TPRC is an annual conference on communication, information, and Internet policy that convenes international and interdisciplinary researchers and policymakers from academia, industry, government, and nonprofit organizations. Its purpose is to present original research relevant to policy making, share information about areas where research is needed, and engage in discussion on current policy issues. Further information on the conference are available at the following link. CPRsouth 2014 in Maropeng, South Africa, clashes with IGF 2014 in Istanbul. Internet governance has assumed increased importance to the CPRsouth community in the aftermath of the controversial WCIT conference in 2012 and the Snowden revelations. In recent years, IGF has been held in October-November and did not clash with CPRsouth, but unfortunately the dates have been advanced for 2014. The CPRsouth call for proposals was published prior to the IGF call for proposed sessions, and the conflict was therefore not known at the time. Now, as the IGF programme is taking shape, the cost of the conflicting schedule is becoming evident. The need for some to be present at IGF will affect our ability to ensure attendance of all the planned moderators, discussants and young scholars’ programme instructors. Given the fact that the conference venue had already been booked and the post-IGF availability was uncertain, we had to make a quick decision to change the reservation. This decision was not taken lightly, but we believe that as a research-to-policy organisation, it is important to avoid clashing with one of the most important Internet policy events of 2014. Young Scholars programme: 7th – 9th September 2014 (not 2-3 September as previously announced). We have taken advantage of this opportunity to add half a day (7th of September) to the Young Scholars programme to accommodate more of the traditional tutorial content in addition to the planned Systematic Review training. The IGF will be held in Istanbul September 2-5 and the new CPRsouth dates will allow those who wish to participate in both activities to conveniently combine them in one trip. We apologise in advance for any inconvenience caused by having to revise the conference dates. Following two highly successful joint Afro-Asian CPR conferences – hosted by CPRafrica in Port Louis, Mauritius in 2012, and CPRsouth in Mysore, India in 2013 – the conferences will formally merge in 2014 under the banner of CPRsouth. CPRsouth 2014 (10-12 September 2014) will be hosted at Maropeng, in the Cradle of Humankind, South Africa. 15 Young Scholars from Africa and 15 from the Asia-Pacific region will be selected to participate in a tutorial programme taught by recognised scholars and practitioners. Tutorials are scheduled to be held prior to CPRsouth 2014 on 7,8 & 9 September 2014. • Entry/mid-level officers in NGOs/INGOs. The document should be named CPRsouth2014_YoungScholar_YourLastName. Please note that your write up and bio should be in a single document. • Twin sharing accommodation on bed and breakfast basis, 6 lunches and 1 dinner for the duration of the tutorials and conference (7-12 September 2014). The airfare will be reimbursed less USD150, the registration fee for the conference. All other incidental costs including, but not limited to, transportation to and from airports in home countries, visa fees (if any), and meals not provided for, must be borne by the participants. SPECIAL NOTE: Candidates who would be prevented from participating in the tutorial programme due to their inability to raise the required registration fee may apply for a waiver. Waiver of registration fees will only be considered where a participant provides the secretariat with a factual letter detailing the difficulties in bearing this cost, and where the request is submitted immediately upon notification of your successful application. CPRsouth8/ CPRafrica 2013 provides a forum for policy-engaged scholars to meet face-to-face to exchange ideas, network and improve the quality of their scholarly work. It fosters the next generation of active scholars and in-situ experts capable of contributing to good ICT-related policy and regulation in the region. The emphasis is on research for evidence-based ICT policy and regulation and on the use of research for policy influence. The conference will accommodate 30 paper presenters from Africa and the Asia-Pacific over the course of three days (Asia-Pacific papers will make up around 60 percent of total). The conference includes sessions on cutting-edge developments on policy and regulation in the South and discussion of the research-policy interface. The audience will be made up of 70+ scholars on ICT policy and practice. A senior scholar will chair each of the paper sessions. Substantive discussant comments will be provided. Research ICT Africa invites submission of abstracts for papers on ICT policy and regulation research carried out in Africa, or relevant to Africa, for review and acceptance. Abstracts are due on 15 February 2013. Access | Applications | Authorization and Licensing | Broadband| Broadcasting |Business models | Citizen | Civil society| Cloud computing | Competition | Conflict | Connectivity | Consumer | Content | Convergence | Cooperation | Demand | Digitisation Disaster | Disability | Domestic | Economy | Efficiency | Emerging markets | Environment | Governance | Growth | Inclusion | Indicators | Information | Infrastructure | Innovation | International | IP |Judiciary | Knowledge | Legislation | Markets | Media | Monopoly| Networks | Performance | Policy | Political economy | Poverty |Pricing | Productivity | Property | Public goods | Oligopoly | Reforms | Regional | Regulation | Rights |Social networking Spectrum | Strategy | Security| State |Transparency | Universal access | Universal services. These keywords will be used to assign papers to reviewers in a double-blind process, which will yield a shortlist of approximately 30-35 papers. Completed papers from this shortlist will be adjudicated by two senior scholars, and authors of the highest ranked papers will be invited to present at the conference. The actual program will depend on the papers received. Organisers reserve the right to combine topics and to not offer sessions for which sufficient high-quality submissions are not received. Please note that the paper proposal and bio must be in a single document. Notification of acceptance of proposed papers on the basis of the abstract will be emailed on or before 1 March 2013. Full papers must be submitted for review by 1 May 2013. Only full papers of acceptable quality that are received by this deadline will be considered for partial travel and accommodation support. It is expected that the papers will be improved based on substantive comments provided in the run-up to the conference. All paper presenters are required to develop a policy brief based on their final research paper. Mentoring on writing a policy brief will be provided prior to the conference, and policy briefs will be judged in a policy-brief competition. Please note: Only the authors whose papers are delivered by the 7 May 2013 deadline AND who meet the quality standard will be allowed to present at the conference. Paper presenters who make the cut will be notified by 3 June 2013 with contact information for the assigned chair and discussant and instructions on travel arrangements. Visas are required to enter India, with some exceptions. Letters will be provided for this purpose after final participant selections have been made. Participants are strongly advised to initiate visa approval procedures immediately upon notification of their selection. Note – new for 2013, there will be two kinds of manuscripts accepted into the ICTD program track: Full Papers and Notes. Held in cooperation with ACM SIGCHI and ACM SIGCAS, ICTD2013 will provide an international forum for scholarly researchers exploring the role of information and communication technologies (ICTs) in social, political, and economic development. Hosted by the University of Cape Town and the University of the Western Cape in Cape Town, South Africa, ICTD2013 is the sixth of an ongoing series of conferences occurring every one-and-a-half years; previous conferences have taken place in: Berkeley, CA (USA) ICTD 2006; Bangalore (India) ICTD 2007; Doha (Qatar) ICTD 2009; London (United Kingdom) ICTD 2010, and Atlanta, GA (USA) ICTD 2012. Over decades, as radio and television have been joined by computers, the internet, and mobile devices, information and communication technologies (ICTs) have become more pervasive, more accessible, and more relevant in the lives of people around the world. Virtually no sphere of human activity remains apart from ICTs, from markets to health care, education to governance, family life to artistic expression. Diverse groups across the world interact with, are affected by, and can shape the design of these technologies. The ICTD conference is a place to understand these interactions, and to examine, critique, and refine the persistent, pervasive hope that ICTs can be enlisted by individuals and communities in the service of human development. There are multidisciplinary challenges associated with the engineering, application and adoption of ICTs in developing regions and/or for development, with implications for design, policy, and practice. For the purposes of this conference, the term “ICT” comprises electronic technologies for information processing and communication, as well as systems, interventions, and platforms that are built on such technologies. “Development” includes, but is not restricted to, poverty alleviation, education, agriculture, healthcare, general communication, gender equality, governance, infrastructure, environment and sustainable livelihoods. The conference program will reflect the multidisciplinary nature of ICTD research, with anticipated contributions from fields including anthropology, computer science, communication, design, economics, electrical engineering, geography, human-computer interaction, information science, information systems, political science, public health, and sociology. In addition to inviting the Full Papers and Notes detailed here, the conference will offer a variety of opportunities for participation, including open sessions, pre-workshops, and demos. Check our website for further calls. The third CPRafrica will take place from 5 – 7 September 2012 together with CPRsouth in Mauritius. Communication Policy Research Africa (CPRafrica) encourages intellectual endeavour and research in the area of ICT policy and regulation in Africa through the creation of a forum in which African academics and researchers can engage on and profile their research and contribute to global debates from an African perspective. The overall objective is to nurture policy intellectuals capable of informed and effective intervention in ICT policy and regulatory processes in specific country contexts. This is an initiative of Research ICT Africa and draws on similar initiative by LIRNEasia – CPRsouth. For the first time in 2012 these two partners will hold their conferences jointly in Mauritius. There is no more appropriate setting for this conference. Mauritius, itself an amalgam of Africa and Asia, is one of the most dynamic ICT markets on the African continent. The conference will again provide a forum for senior, junior and mid-career change scholars to meet face-to-face and exchange ideas, network and improve the quality of their scholarly work for publication. The long-term objective is to foster the next generation of active scholars and local experts capable of contributing to good ICT policy and regulation in their regions. The structure of the conference will offer researchers the opportunity to discuss their research on ICT regulation and policy in Africa, Asia and the South more generally, with a policy-oriented, international panel of senior academic referees and their peers from the regions. The conference is designed to accommodate 35 papers presenters over the course of two and a half days, and the audience will be made up of 50 scholars involved in the field of ICT policy and regulation, broadly defined, including 20 Young Scholars from both regions. Abstracts for papers on ICT policy and regulation research carried out in Africa or relevant to Africa may be submitted for review and acceptance. Abstracts are due on 30 January 2012. The list below provides some guidance to the subject matter of the conference but is not exhaustive. The actual program will depend on the papers received. The organisers reserve the right to combine topics and to not offer sessions for which sufficient high-quality submissions are not received. • a curriculum vitae of no more than a page. • The document must be named CPRafrica_Abstract&Bio_YourLastName. Notification of acceptance of the proposed paper on the basis of the abstract will be e-mailed on or before 15 February 2012. Authors must submit their papers for review by 15 May 2012. No papers will be accepted after this date. The conference organisers reserve the right to reject the paper if it does not conform to the abstract or accepted academic standards.They will receive the reviewer’s comments by 30 May 2012, and will be required to complete any revisions for acceptance by 30 June 2012 for confirmation of acceptance by 30 July 2012. Please note: Only the authors whose final papers that are delivered by the 30 June 2012 deadline AND who meet the quality standard will be allowed to present their papers at the conference and have their travel funded. Others may attend the event at their own expense or if they have applied for and satisfied the criteria for selection as Young Scholars. Selected presenters will be provided with least-cost travel to and from Mauritius, accommodation and a per diem for the duration of the conference. All incidental costs will have to be borne by the participants. Those who are able to receive institutional support to attend are requested to do so, to enable others who do not to be able to attend. Prof Alison Gillwald (RIA , University of Cape Town); Prof Rohan Samarjiva (LIRNEasia), Dr. Taruna Ramessur (University of Mauritius). Thirty Young Scholars from Africa and Asia have been selected to participate in the conference without having to fulfill the paper acceptance qualifications and to attend an ICT policy research seminar prior to the conference to allow them to participate more effectively. Download the Young Scholar programmeYoung Scholar programme. • a one-page write-up outlining why you wish to be an African or Asian based expert capable of contributing to ICT policy and regulatory reform in the region. The document should be named CPRafrica2012_YoungScholar_YourLastName. Notification of acceptance will be e-mailed on or before 30 February 2012 with instructions on travel arrangements. Please provide the contact details of your supervisor or mentor as the selection committee may contact them before making the final selections. Selected applicants will be provided with least-cost travel to and from Mauritius, twin-sharing accommodation and meals for the nights of the conference only. All incidental costs will have to borne by the participants. Costs are being tightly controlled to accommodate as many participants as possible. The Columbia Institute for Tele-Information is pleased to announce that its first conference on the topic of broadband as a platform for Video in Africa will take place May 22nd & 23rd in Lusaka, Zambia. For further information about the Conference, click here. Mobile money is an emerging area of research, AMMREC expects to build a Conference Community that will ensure an exciting and high quality networking environment, providing an opportunity for scholars and practitioners to share knowledge and experience with potential research or practitioner partners. By mobile money we include mobile money transfer, mobile banking, agency banking, other financial services through a mobile platform. The International Institute of Communications is a leading independent policy forum focused primarily on telecommunications, media and digital media policy and regulation, and their impact on business and society. Its 42nd Annual Conference, ‘Trends in Global Communications: Making digital society a universal reality’ on 3-4 October in Sandton, Johannesburg, was designed to meet the policy and strategic needs of senior industry executives, regulators and public policymakers in the telecommunications and media industries and has a strong African focus. Click here for the full two-day programme. The Global Internet Governance Academic Network (GigaNet) held its Sixth Annual Symposium on 26 September 2011, one day before the United Nations Internet Governance Forum (IGF) in Nairobi, Kenya. Since 2006, GigaNet has organized an Annual Symposium to showcase research about Internet Governance, focusing on an interdisciplinary approach. Prior successful symposia took place in Greece (2006), Brazil (2007), India (2008), Egypt (2009) and Lithuania (2010). In 2011, the Internet Governance Forum has entered its second phase, after having reached the end of its first 5-years mandate. The 2011 event provided room to discuss the challenges encountered and results achieved during the first five years of IGF. As in previous years the GigaNet Symposium further discussed current and future questions of Global Internet Governance. The symposium was organized in co-operation with Research ICT Africa (RIA). RIA is a network of researchers in 20 African countries conducting research on ICT policy and regulation and facilitating evidence-based and informed policy making for improved access, use and application of ICT for social development and economic growth. Participants to be confirmed later. • John Gathegi (University of South Florida): Internet anonymity, reputation and freedom of speech. The US legal landscape. Roundtable jointly organized by GigaNet and APC. Participants to be confirmed later. Making Mobile Broadband Access Accessible for All. Venue: Exhibition All at the UCT Graduate School of Business Portswood Road, Cape Town. The second CPRafrica took place on 15 – 19 April 2011 in association with the University of Nairobi, Kenya. CPRafrica 2011 presentations available on the publications page. Communication Policy Research Africa (CPRafrica) intends to encourage intellectual endeavour and research in the area of ICT policy and regulation in Africa through the creation of a forum in which African academics and researchers can engage on and profile their research and contribute to global debates from an African perspective. The overall objective is to nurture policy intellectuals capable of informed and effective intervention in ICT policy and regulatory processes in specific country contexts. The conference provides a forum for senior, junior and mid-career change scholars to meet face-to-face and exchange ideas, network and improve the quality of their scholarly work for publication. The long-term objective is to foster the next generation of active scholars and local experts capable of contributing to good ICT policy and regulation in the region. The structure of the conference will offer researchers the opportunity to discuss their research on ICT regulation and policy in Africa and the South more generally, with a policy-oriented, international audience and obtain useful feedback. Dr Lishan Adam, Dr.Tracy Cohen, Dr. Kammy Naidoo, Prof Arsene Kouadio and Prof. Tim Waema and Prof. Alison Gillwald, Prof. Rohan Samarajiva (LIRNEasia) Prof. Roxanna Barrantez (DIRSI) Prof Leo van Audenhove (EuroCPR) and Dr. Martha Garcia-Murillo (TPRC). The conference is designed to accommodate 21 paper presenters over the course of two and a half days, and the audience will be made up of 50 scholars involved in the field of ICT policy and regulation, broadly defined, including 15 Young Scholars. Abstracts for papers on ICT policy and regulation research carried out in Africa or relevant to Africa may be submitted for review and acceptance. Abstracts are due on 19 November 2010.
a curriculum vita of no more than a page. The document must be named CPRafrica_Abstract&Bio_YourLastName. Notification of acceptance of the proposed paper on the basis of the abstract will be e-mailed on or before 8 November 2010. Authors must submit their papers for review by 21 January 2011. No papers will be accepted after this date. The conference organiser reserve the right to reject the paper if it does not conform to the abstract or academic standards. They will received the reviewer’s comments by 18 February 2011, and will be required to complete their revisions by 18 March 2011. The papers will be accepted after this date. Please note: Only the authors whose papers that are delivered by the 21 January 2011 deadline AND who meet the quality standard will be allowed to present their papers at the conference and have their travel funded. Others may attend the event at their own expense or if they have applied for and satisfied the criteria for selection as Young Scholars. Selected presenters will be provided with least-cost travel to and from Nairobi, Kenya, accommodation and a per diem for the duration of the conference. All incidental costs will have to be borne by the participants. Those who are able to receive institutional support to attend are requested to do so. Fifteen Young Scholars from Africa were selected to participate in the conference. a one-page write-up outlining why you wish to be an African based expert capable of contributing to ICT policy and regulatory reform in the region. The document should be named CPRafrica_YoungScholar_YourLastName. Notification of acceptance will be e-mailed on or before 29 November 2010 with instructions on travel arrangements. Selected applicants will be provided with least-cost travel to and from Nairobi, Kenya, twin-sharing accommodation and meals for the nights of the conference only. All incidental costs will have to borne by the participants. Costs are being tightly controlled to accommodate as many participants as possible.